Have you ever seen one of those cozy cottages in movies and wished you could live in one? Well, you would have to build your own cottage, but there is a cheaper and quicker way to create a similar effect in your home by using shiplap cladding. 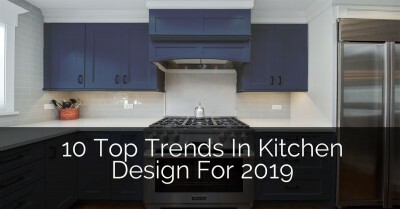 In recent years, there has been increased interest in shiplap-focused interior décor. Shiplap has appeared on HGTV shows, filled up interior décor blogs, and appeared in numerous magazine pages. In our latest home improvement guide, we take a look at Shiplap cladding, what it is and how you can use it in your home. It is one of those home improvement projects that should take you a single weekend and not too much money to complete. Shiplap is a type of wooden board traditionally used on the exterior of buildings. It is an effective and inexpensive way to clad a building and protect it against weather elements, especially water. 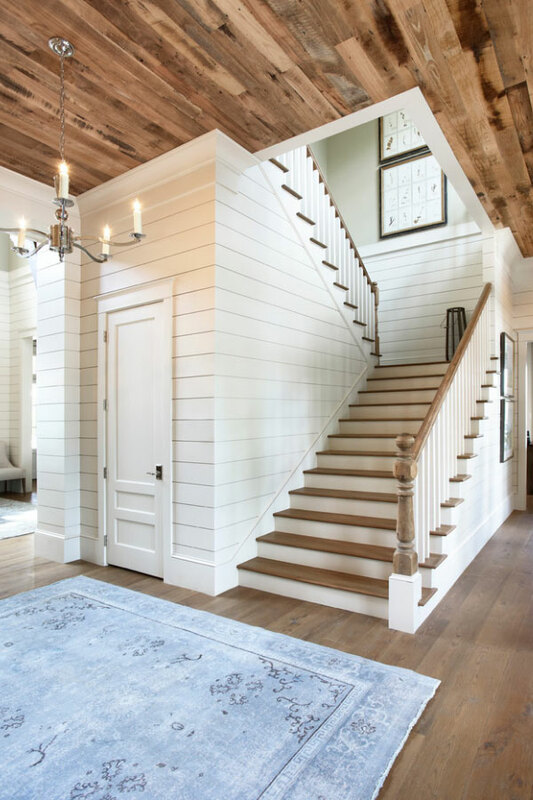 Homeowners have recognized the beauty of shiplap and over time, it has found a place in the warm interiors of many homes. When used inside, shiplap creates a cottage-like, farmhouse or shabby chic effect. It is especially good at turning a dull and cold space into a warm, cozy and welcoming interior. You can use it to accent a specific part of a room such as the wall around the hearth, the space above the tub or the area above your bed. Alternatively, it can be used more extensively to panel entire rooms such as the bathroom, living area, or bedroom. 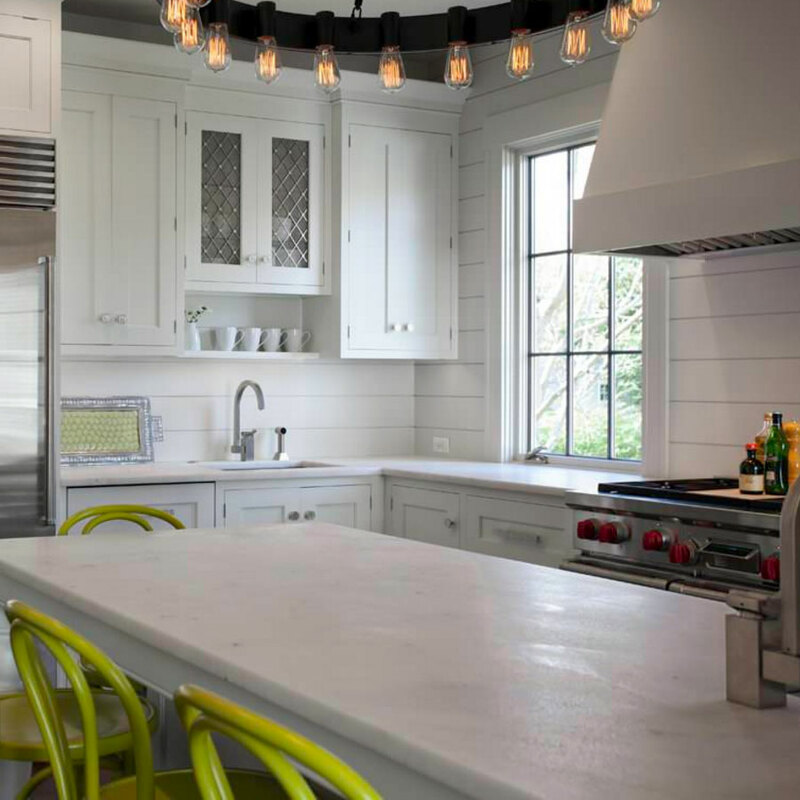 There are numerous creative ways you can use shiplap in your home. We will go through them shortly. If by the end of this guide you area leaning toward some shiplap for your own home, you have two installation options; you could DIY it or call in a professional. 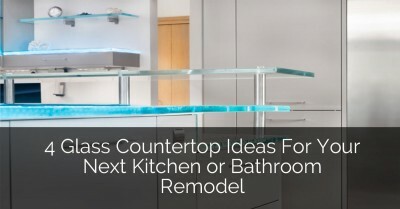 As a DIY project, it’s difficulty is moderate and you will need an extra hand or two to help. But if you are not sure, we always recommend letting a professional handle it. 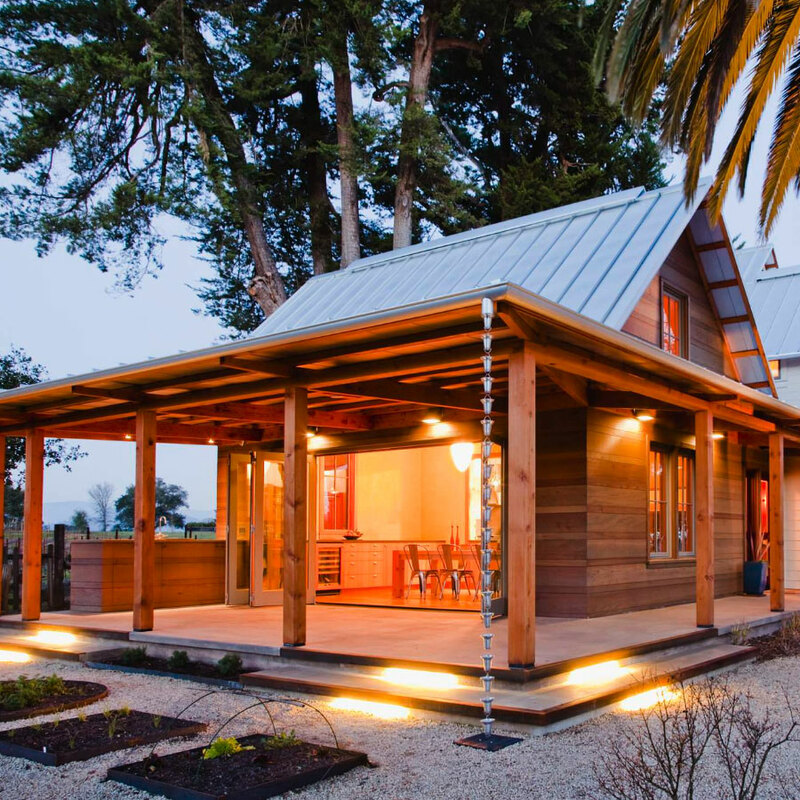 Related: Why You Should Consider Using Reclaimed Wood for Your Homes Interior. Traditionally, cheap wood such as pine was used in making shiplap boards. 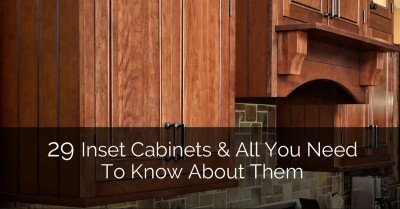 Today, homeowners have a range of material options to choose from. The most common is real wood, where your planks of wood are installed stack-style along the height of a wall. Real wood is especially ideal if you are planning to leave it exposed but it can also be a bit pricey. Other less expensive options include plywood, MDF or hardboards. With these, you might have to apply a nice finish on top, such as painting, to create the full cottage effect. You can find these materials at most home stores including Home Depot. Shiplap can also be categorized depending on their design. Some types of shiplap consist simply of planks of wood, MDF or plywood. Other types come with a design that allows them to fit snugly into each other. They are referred to as tongue and groove shiplap. If you are doing a DIY installation, it is important that you understand the different types of shiplap and how installation varies among them. 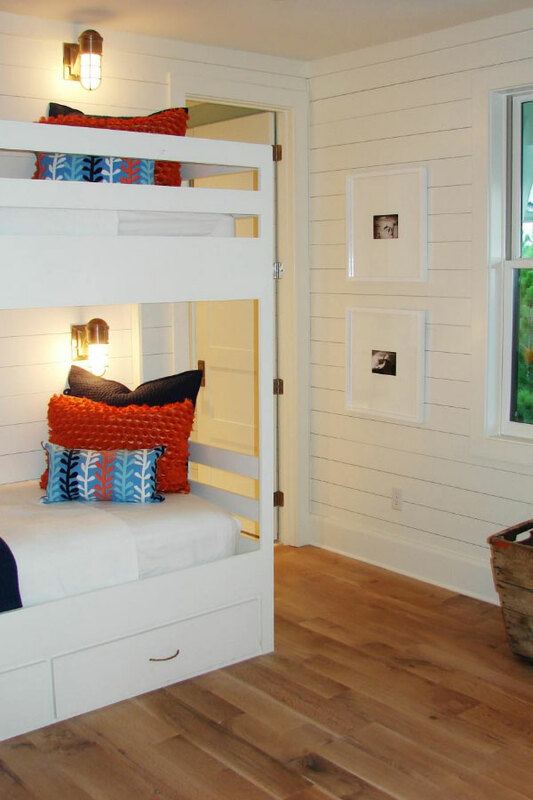 Where Can You Use Shiplap? Essentially, anywhere in your house. From the bathroom, to the stairs, to the hallway; the options are endless. One of the advantages of shiplap siding is that it can be customized to fit any space, big or small. We have listed some great spaces you can use shiplap below. 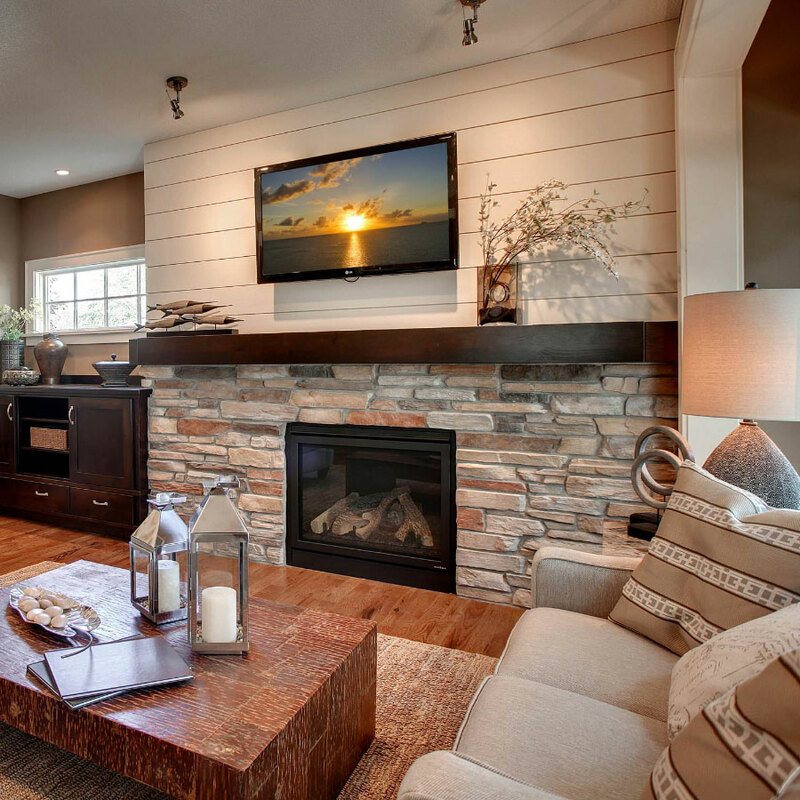 If your living room walls feel a bit lacking in warmth and style, shiplap is the perfect addition. You can choose to accent a single wall or install on all the walls in the room. Considering that this is the center of your home, it makes sense to make it as warm and cozy as possible. Note that some areas such as the place around the fireplace may require another material (such as tiles or stone) that can withstand the heat and is easier to clean. While the traditional style is to lay out the planks or boards horizontally, you can decide to put them up vertically for a more unique style. You can leave the wood exposed with all its spots and pockmarks for a realistic cottage look. 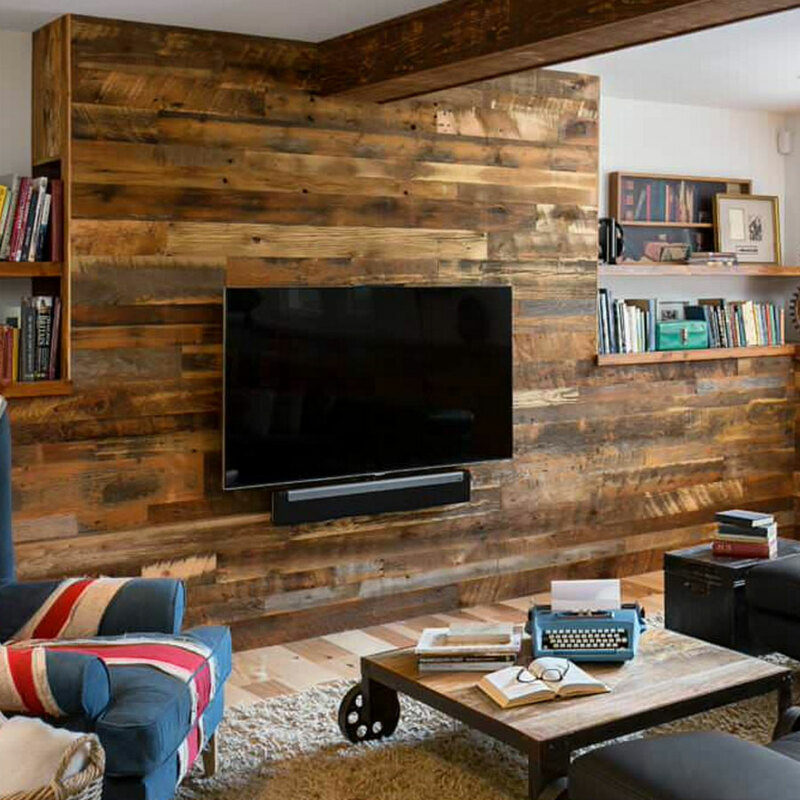 Bonus tip: exposed shiplap really goes well with exposed beams for a nice quaint look. Works great for a living room, home library, or home office. 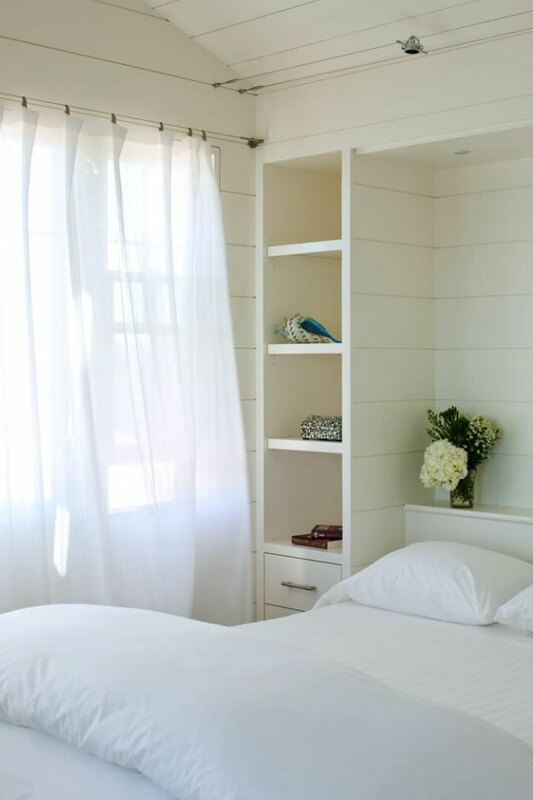 To enhance its effect, you can finish shiplap with white paint. This looks especially good in homes with large windows where plenty of natural light streams in. It almost feels like you are sitting outside a farmhouse somewhere in the countryside. Kitchen remodeling can get a little bit complicated when it comes to installing shiplap. 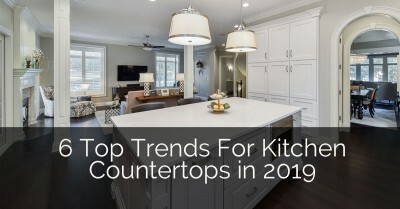 For one, there are plenty of tight spaces and corners to work around including cabinets, outlets and other appliances. There are also issues of heat and water that must be considered. 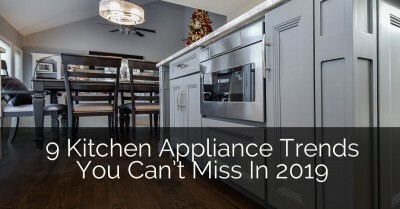 For those who opt to go the DIY route, precision measurements are crucial in the kitchen. 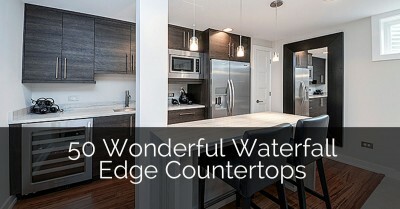 You might also want to think about a waterproof finish for shiplap that is likely to be in contact with water. Additionally, consider using tile for the backsplash as it is much better at repelling water and is easier to clean. Like the living room, you can decide to use the shiplap on a specific part of the wall, making it the focal point. For example, you can use it on backside of the breakfast bar, the side where family members and guests sit. You can also install shiplap vertically in the spaces between upper cabinets. Here the options are numerous. 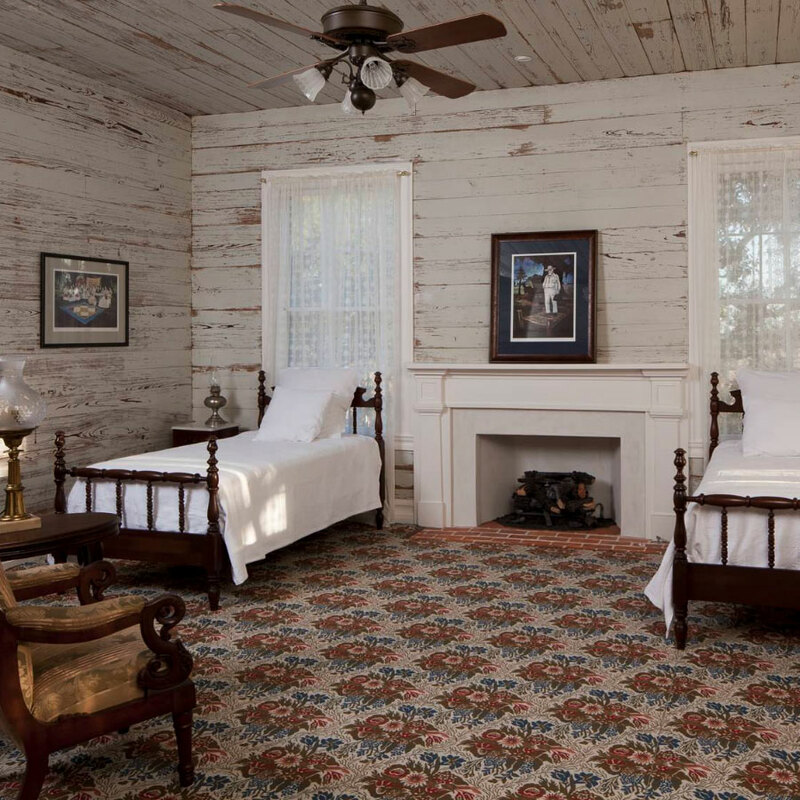 One common style that we see as a favorite for many homeowners is using shiplap to accent the wall behind the bed. By contrasting it with the other walls, it almost feels like a large headboard. 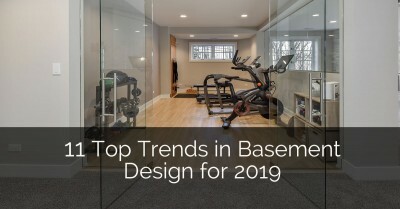 Related: 5 Reasons to Convert Your Basement Into a Bedroom For Your Teen. A dull bedroom can be instantly transformed by installing shiplap all-round and painting them in a warm relaxing color. A unique style that can also be applied to shiplap in other rooms is to use more than one plank along a single row. The seams created where two planks join come together to create a stylish masonry effect. 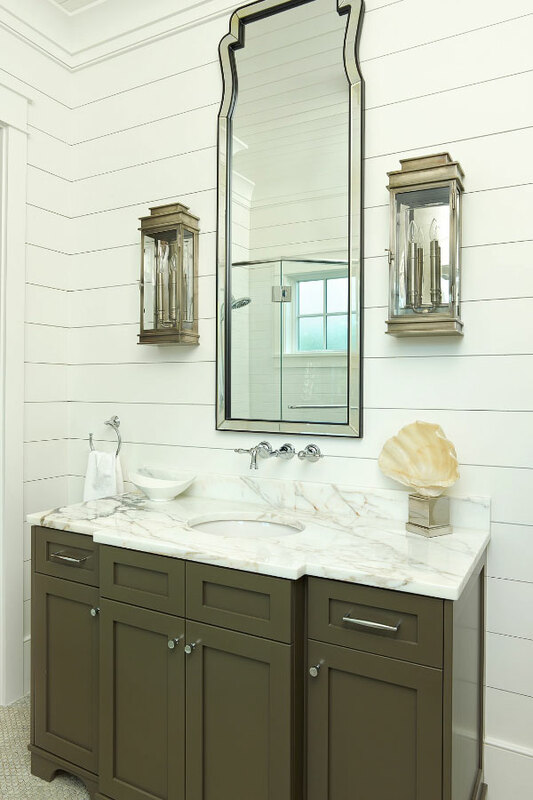 While shiplap tends to result in a countryside/cottage look in other spaces, it creates a trendy beach effect in the bathroom. 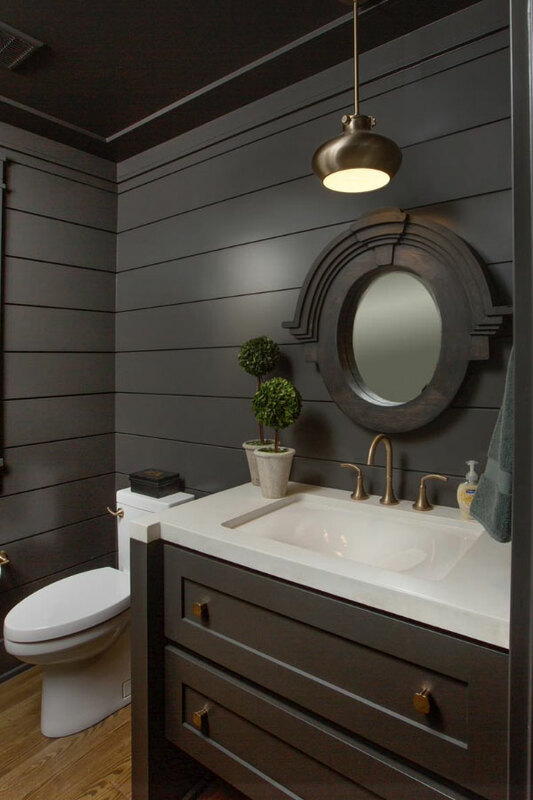 You could fill up the entire bathroom with shiplap paneling or use it on specific areas. 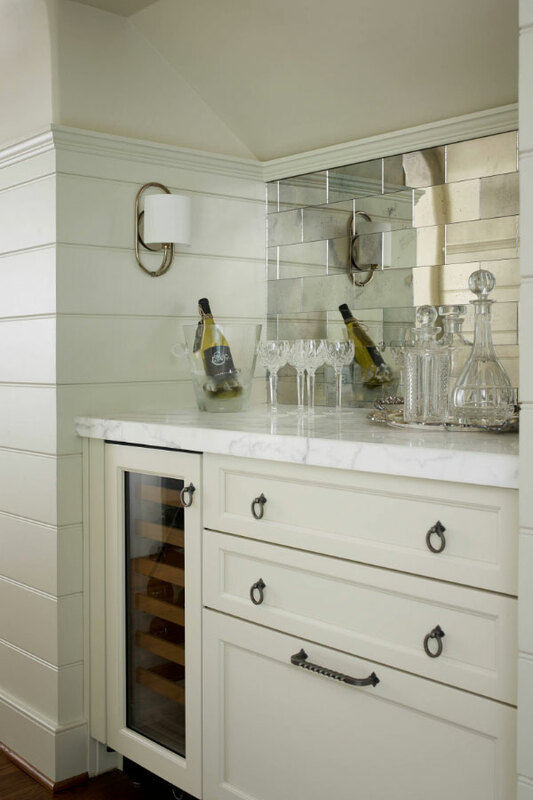 For instance, shiplap installed just above the bathtub creates a cozy space to take a bath in. You can also install it on a single wall, above the cabinet area, and wherever else you see fit. Because of moisture issues, it is highly recommended that you buy shiplap that has already been primed. This reduces moisture absorption by the boards ensuring that they last. 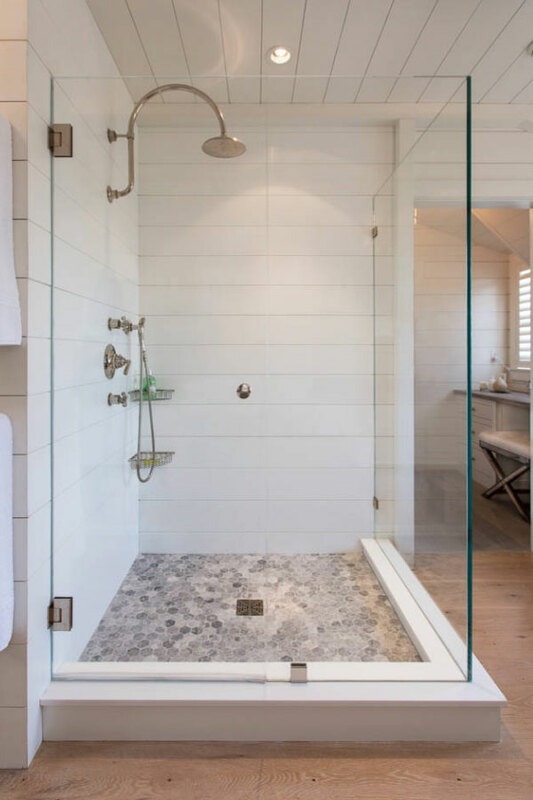 It is also a good idea to skip shiplap in the shower, where running water can easily cause damage, although if chosen in that space, it is quite an amazing look. Instead of the traditional wood paneling for your wainscoting, why not try using shiplap? It creates a nice decorative effect, with unique detailing. 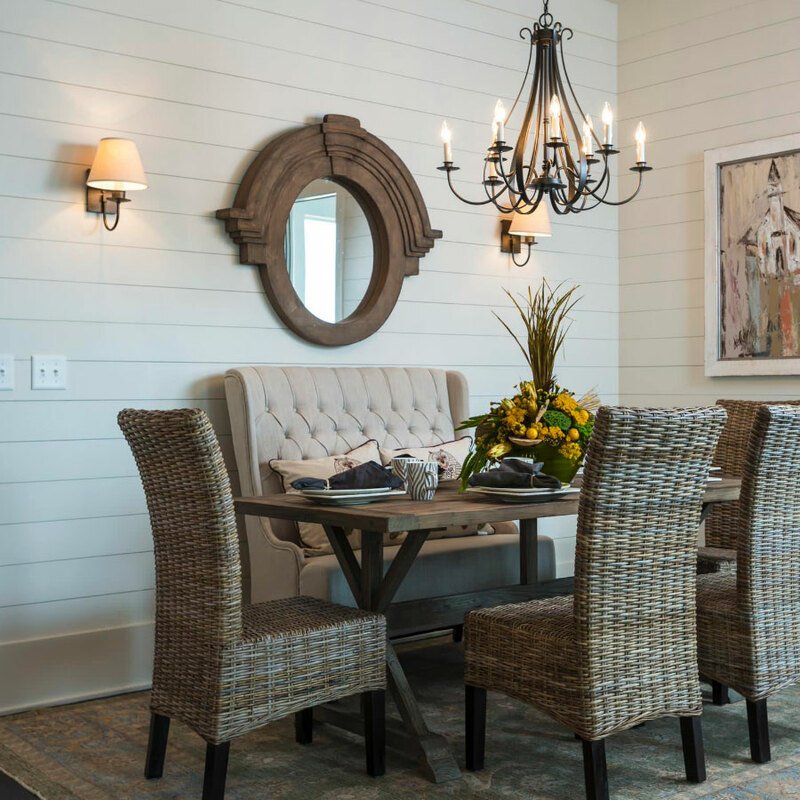 Shiplap can work on all kinds of wainscoting from one that stretches to just a few inches above the crown molding to one that goes past half the wall height. Instead of the usual horizontal stack-style shiplap, you can also put the planks in a vertical design. 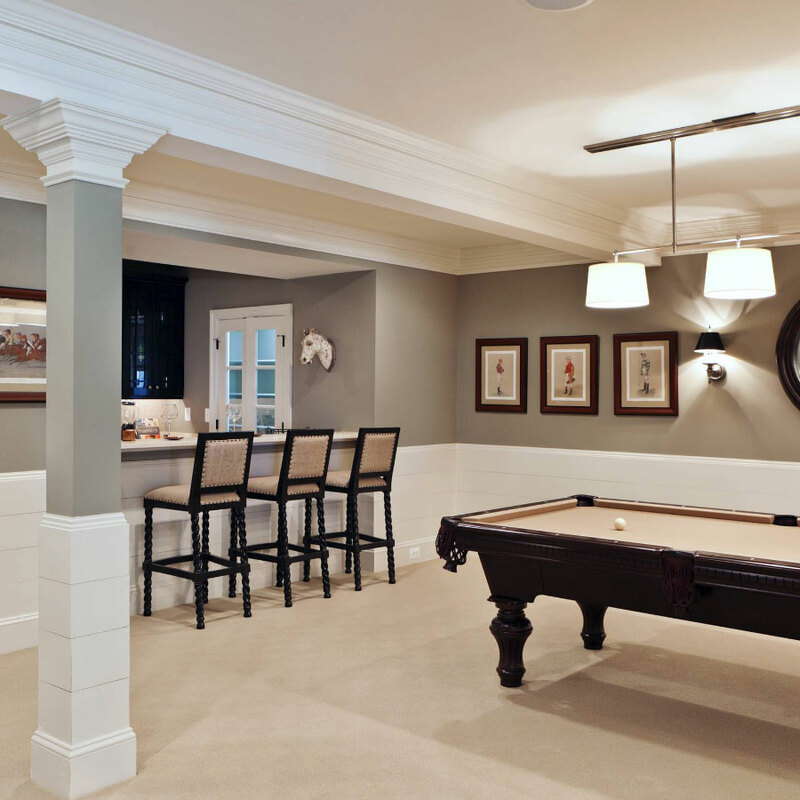 One of the challenges of basement remodeling is turning it into an adequately warm and comfortable space. Shiplap is a perfect solution. If the basement is well insulated, you do not have to worry about moisture damaging the shiplap boards. 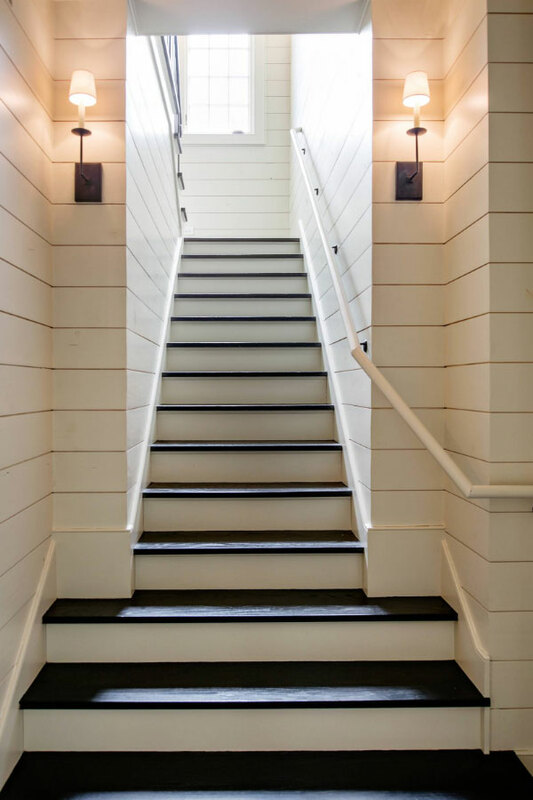 Whatever you decide to turn the basement into, whether a bedroom, family room, kitchenette, bar, or home cinema, shiplap makes for a perfect addition to the walls and ceiling or both. Shiplap is not just for the walls, you can also use it for the ceiling. 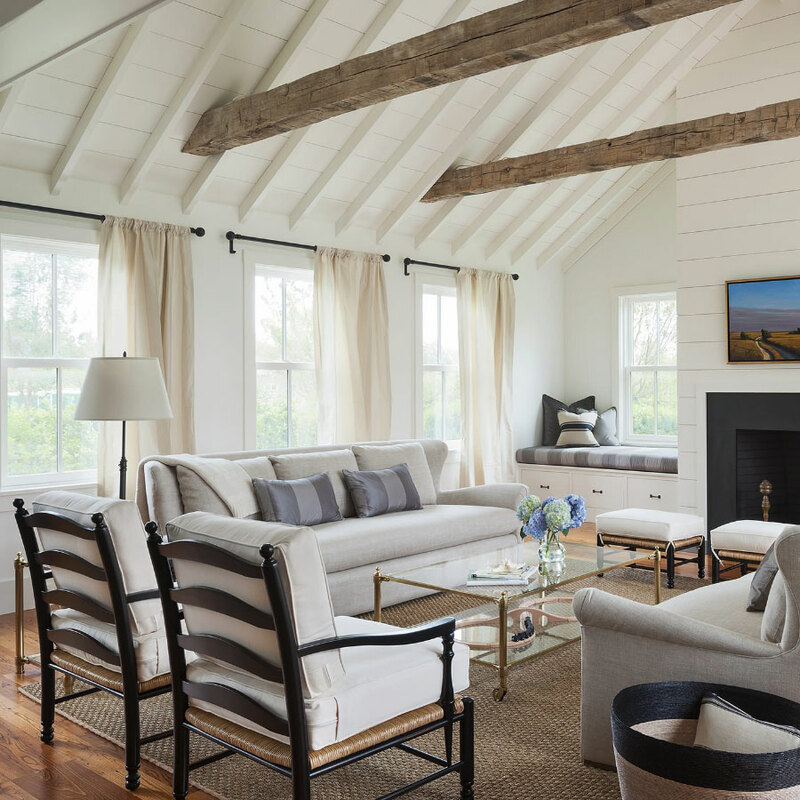 Just as shiplap walls give a room the perception of more space, shiplap ceiling creates the feeling of more depth. For an even more spacey effect, extend the shiplap on the walls to the ceiling. There are plenty of things you can do with ceiling shiplap. Painting it white spreads light around, enhancing the depth feeling. Leaving the shiplap exposed creates a spacious farmhouse style. Giving it an aged finish adds a vintage air to the home. 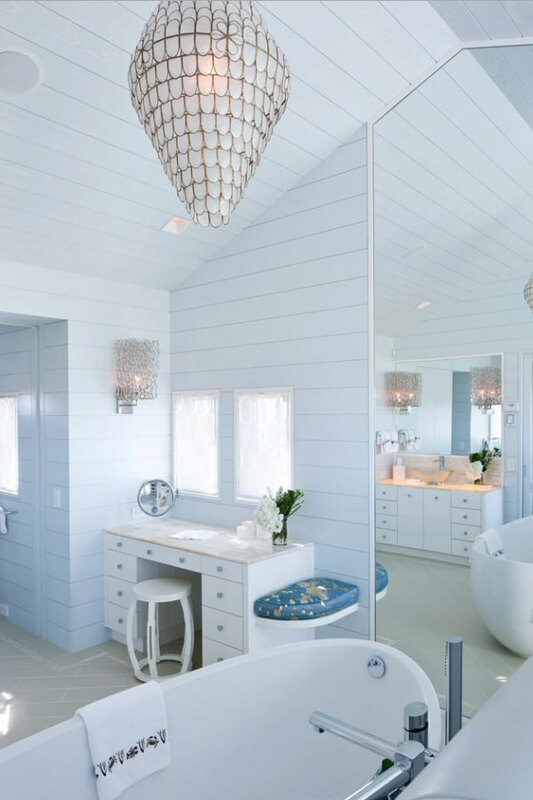 A blue-painted shiplap ceiling brings a clear blue sky right into your home. Of course the mechanics of installing shiplap on the ceiling are a bit different and can be more challenging than installing shiplap on the walls. If you are not sure of your handy skills, it is best to hire a professional. The versatility in style of shiplap allows you to choose a design that fits your man/woman cave theme. If you are going for the chic-look, watch for wood that has been aged distressed by wind and water. While shiplap is better known for its use in interior décor, it was first used in exterior cladding. With a light finishing, you can also use shiplap on the outside of the house. 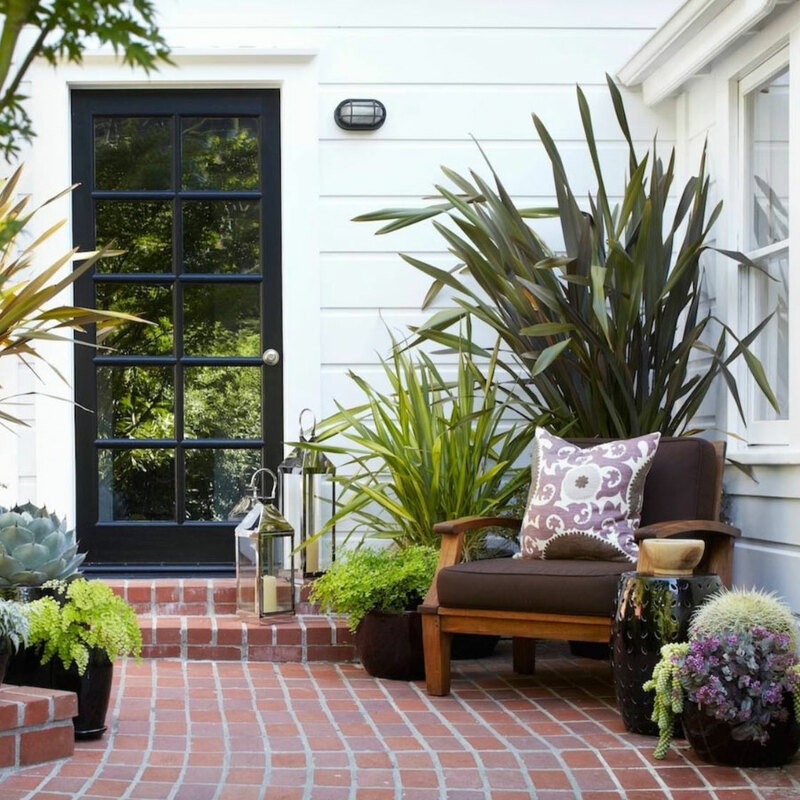 In some climates you can include it in the porch, an outdoor sitting area, an outdoor kitchen, and exterior wall cladding. One of the best things about shiplap is that it brings dramatic change without requiring a big investment in money and time. You can spend a single weekend putting up shiplap siding on a wall and less than $500 but the effect will be priceless. It changes the room drastically; producing a look that, using other methods, would have cost thousands of dollars. Another advantage is the simple installation. Whether you are using plain planks, MDF, or tongue and groove shiplap, the installation process is fairly simple and straightforward. If you have someone to help you that has the right tools, you can do a quick and easy installation. There is no ripping out walls or messing around with utilities. Additionally, as many homeowners would agree, it is a pretty fun home improvement project to fill up your weekend. Even if you opt to call a professional, the installation cost will not be too much. 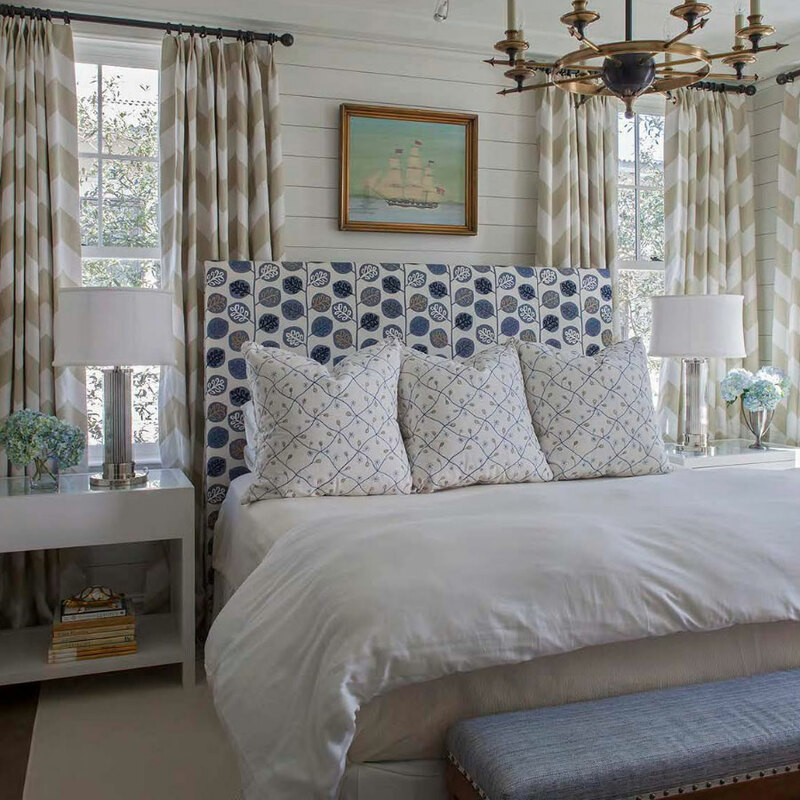 The décor benefits of shiplap are very worthwhile and with just several planks, a plain room transforms into a magazine-worthy space full of character. A cold bedroom suddenly overflows with warmth. 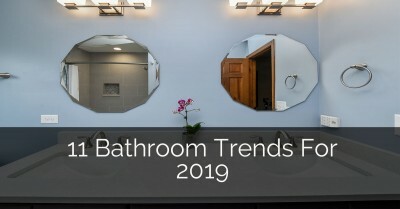 A dull bathroom instantly feels like it has been built on a beach. A boring home office turns into a dreamy workspace that spurs your creativity. Another advantage is its flexibility. It can be used in a wide range of applications both inside and outside the home. 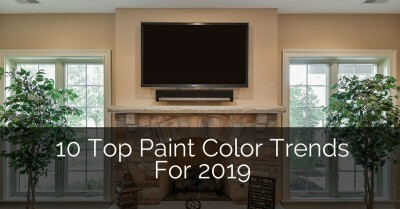 Just to mention a few that we have already shown above, it can be used for the ceiling, wainscoting, full wall paneling, creating a wall accents and so on. Overall, shiplap is an efficient, highly effective, and inexpensive way to renovate your home. You can take a look at our other projects for design ideas. There are a few downsides and concerns we must make note of. 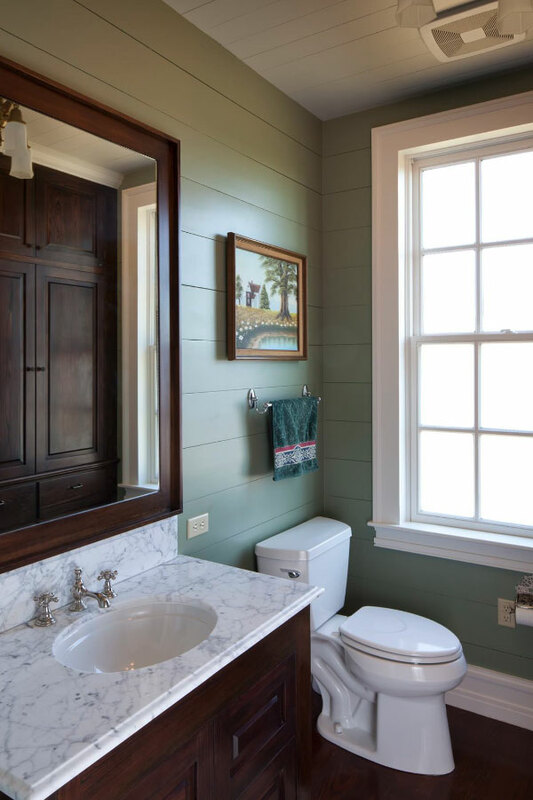 One, shiplap in certain areas like the bathroom and kitchen are at a bigger risk of damage because of the moisture. Without proper finishing, the wood will start to warp or even rot. Another problem arises when you need to repair damage to the shiplap or the wall underneath. Usually, it becomes necessary to remove a large chunk of the shiplap even for simple damage repair. The world of interior design never stays still; new ideas and innovations keep coming. 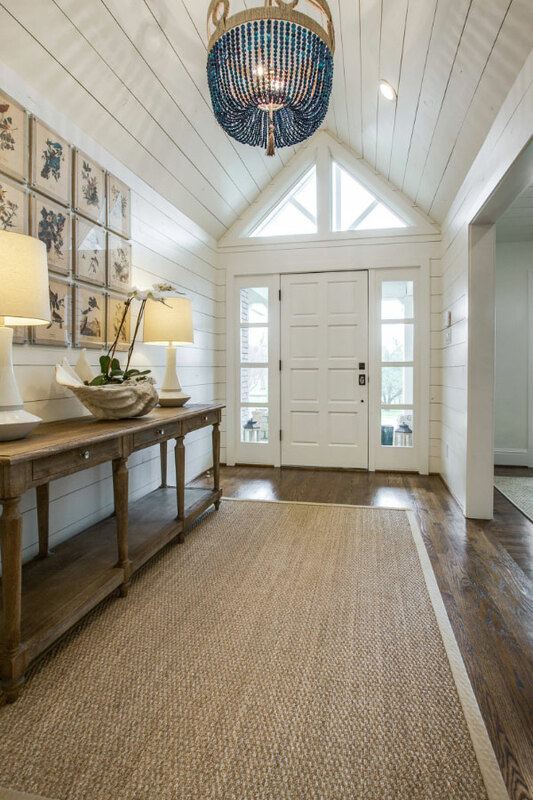 Shiplap is one of the best interior décor ideas you can use in your home. If not for any other reason, just the fact that it creates the exact style you want without draining your bank account. 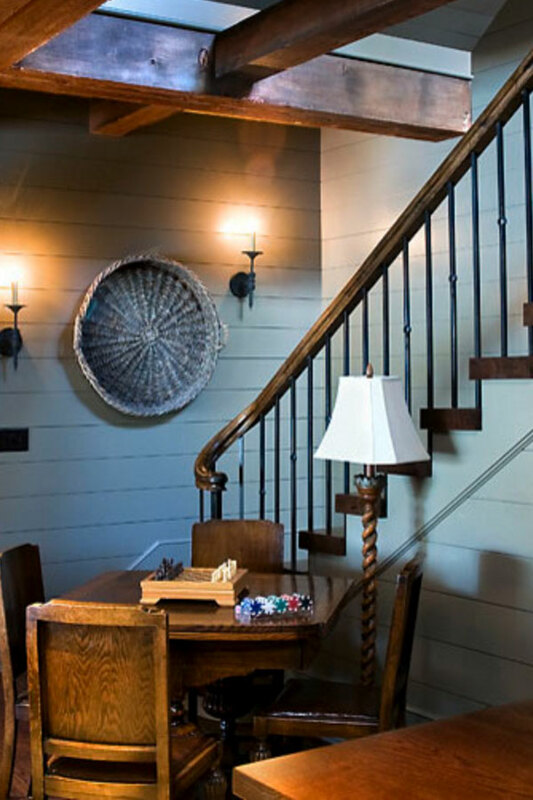 To get the best out of shiplap our best advice is to be creative. There are many more ideas and ways to use shiplap at home than those we have highlighted above. 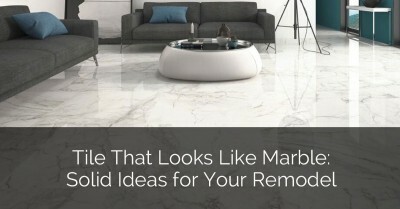 Using this inspiration, find a design and style that is perfect for your home and go for it. A.B. Edward is a James Hardie Preferred Remodeler siding contractors you may say serving the people at Chicago with their best services. Honest information and true service is what you get here; unlike other companies which prefer to hide the information from you and sell you the most costly or the available one in their stores just to make profit. James Hardie fiber cement siding is the best option chosen by many these days because it is extremely durable and long lasting product that will easily withstand the harsh weather conditions of Chicago land area. They understand that natural calamities like damage from hail, wind, water and fire can cause more wear and tear of your roofs, and they also know which can be gained insurance too. Wow! The ship lap cladding is very much innovative to see and it’s really attractive to the people who go through this blog. Mostly, i liked the Palmer picture it looks very good. I appreciate the efforts you people put in to share blogs on such kind of topics, it was really helpful information on cladding ideas. I really admire the valuable information you have been able to share us through this post. Really well explained. The house in the first image seem awesome. Can you recommend any contractors that can install shiplap ceilings in the metro detroit area? Unfortunately we don’t have any great recommendations at this time, however many of our clients find that Angie’s List is a great resource. Best of luck on your project! I have a question. Can I use shiplap for tub surround if it’s installed correctly by caulking the joints and sealing it with polyurethane? Being that shiplap is made of wood, I would not recommend it and we have not done any projects using it. That said, we have heard of people using other products used on exteriors for this purpose, take a look at this project from Savvy Interiors. Hope that helps, please share your findings if you have a chance! Shiplap cladding has the potential to truly transform your property. Unlike many other forms of cladding, wooden shiplap cladding is also incredible durable and offers maximum longevity. Some would argue that it also become increasingly beautiful with age, although it may want a lick of paint every so often. If these haven’t inspired you to introduce cladding onto your property (which I’m sure they have), then please do look into it further because I truly love it. Thank you for inspiring as always Sebring!